What’s in a name? In search of the link between the Parisi people of East Yorkshire and Parisii of northern France. Around 150 skeletons buried in 75 graves have been discovered in an Iron Age cemetery near the town of Pocklington in East Riding, Yorkshire, in what is undoubtedly one of the most significant recent finds in Britain. 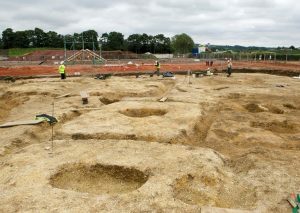 They are the latest discoveries from archaeological sites in the area that reveal a culture whose burial traditions suggest links to the ancient Gaulish people of northern France. 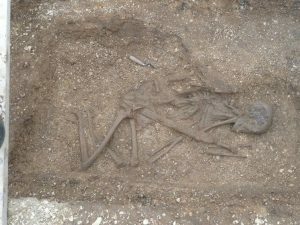 At Pocklington, the most striking of the recent finds is the grave of a young man, probably a warrior, buried with an iron sword between 2,000 and 2,500 years ago. What is remarkable is the presence of five spearheads, whose position shows unequivocally that they had been thrown at the corpse itself. Most of the burials were without grave goods, though one female was buried with a fine brooch similar to examples found on the continent. There are around 23 so-called “speared corpse” burials in eastern Yorkshire, with between one and 14 spear points found in the grave. Was this the equivalent of a rifle volley fired over a military burial as in modern times? 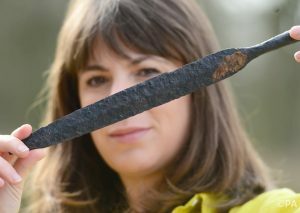 Were the swords thrown into the grave as a mark of respect by fellow warriors? Or might it even represent a Dracula-style impaling after death to prevent the dead from rising? This tradition of speared corpses, burial in square barrows – a small, square, ditched enclosure surrounding a central grave covered by a low mound – and chariot burials are traditions clustered in eastern Yorkshire with only a few outliers. The closest parallels to the square barrows found in East Yorkshire are in north-eastern France and Belgium. Although there are subtle differences in the form of burial and grave goods, some form of continental link seems undeniable. These traditions are associated with the ancient people known as the Arras culture, named after Arras Farm near Market Weighton in Yorkshire where the first archaeological discoveries were made between 1815–17. These 19th-century digs unearthed remarkable finds including chariot burials complete with iron tyres and other metal fittings, and in one case the remains of the two horses used to pull the chariot. They were identified by the diggers as “Ancient British”, thought of as the chariot-fighting Britons described by Julius Caesar. 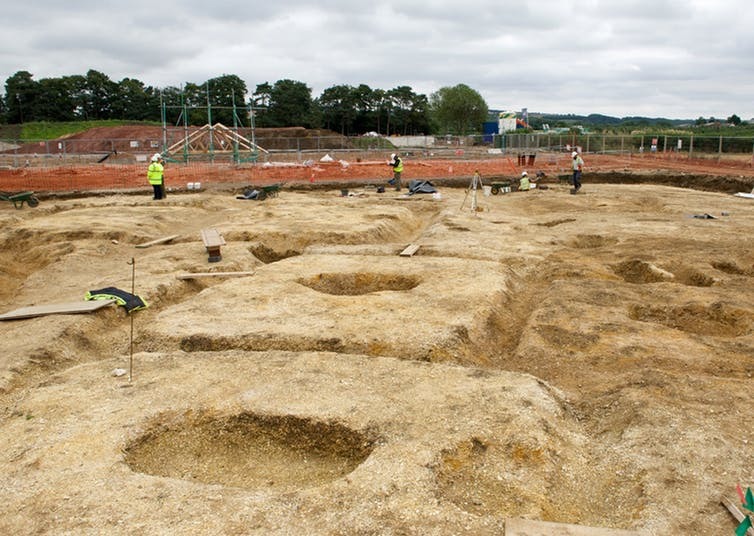 More chariot burials were found during the 19th century, including one excavated at Beverley nearby by the early archaeologist William Greenwell, and during the 20th century more were found among hundreds of Iron Age burials unearthed around the villages of Garton and Wetwang. These included burials complete with swords in decorated sheaths, and another of a woman buried with a decorated copper alloy canister, an iron mirror, and one of only two pieces of gold found in the region – used to embellish an iron brooch also decorated with coral, probably from the Mediterranean. Perhaps the best example of a chariot burial was excavated in Wetwang village in 2001, which revealed another high-status woman and featured in the BBC’s Meet the Ancestors TV series. Radiocarbon dating has shown the burials around Wetwang to be clustered around the mid-3rd century BC, with an analysis of various isotopes present in the bones demonstrating that most had been brought up in the region. Who were the Arras people? 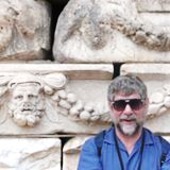 The term Arras culture was coined in the 1940s by Vere Gordon Childe, Abercromby professor of archaeology at Edinburgh University and director of the Institute of Archaeology at University College London. Based on the similarities in burial traditions, Childe believed the Arras people had invaded from the Marne area of northern France. Other scholars such as CFC Hawkes saw the Arras culture as one of the waves of invaders who crossed over from continental Europe in later prehistory. Ian Stead, whose PhD was on these people, undertook many excavations in the 1980s, and his 1991 book Iron Age Cemeteries of East Yorkshire remains the major work on this topic. The similarities in these burials to those on the near continent prompted Stead to conduct excavations in the Champagne and Ardennes regions of France. The distribution of square barrows, chariot and speared corpse burials suggests some form of regional identity within eastern Yorkshire, and it was this region that 2nd-century geographer Ptolemy wrote of as being inhabited by people known as the Parisi. According to some linguistic scholars, the Old Welsh word for spear is “par”, and so the name of the tribe can be read as “the spear people”. Delgovicia – a settlement mentioned in the Roman Antonine Itinerary as being somewhere east of York – is thought to derive from “delgo”, meaning a thorn or spear, and so could be interpreted as “town of the spear fighters”. Archaeologists tend to be sceptical about the use of place names in such circumstances, but perhaps this idea should be considered – particularly in light of the spectacular hoard of 33 iron spearheads and five swords in decorated sheaths found at South Cave, 15 miles to the south-east of Pocklington in 2002. Referred to by Caesar, the Parisii people of what is now northern France who gave their name to the French capital are well known, but links to the Parisi of East Yorkshire are more difficult to prove. Certainly the circumstantial evidence shows continental connections – and perhaps scientific analysis of the remarkably well-preserved Pocklington skeletons may shed light on these ancient connections. This entry was posted in Gauls, History, Iron Age, Prehistory. Bookmark the permalink.